Putting a fresh twist on the always-popular fabric, Giorgio Armani’s Luxury Denim collection is back with all the brand’s signatures: strong tailored styles, impeccable cuts and sophisticated finishes. The autumn/winter 2018-19 collection inclues offerings for men and women, ranging from waistcoats to trouser suits. The men’s selection blends denim and luxe materials such as fine wool, velvet and cashmere cavalry twill with a denim effect. 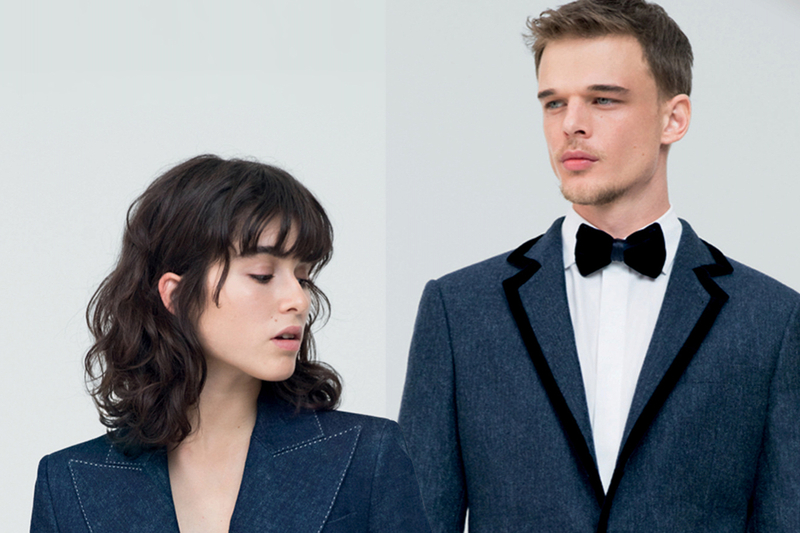 Highlights include denim evening suits trimmed with velvet or livened up with a shawl collar. The trouser suits for women, meanwhile, feature two different jacket models, one in slim fit with defined shoulders and another more sporty style with a high collar, metal buttons and contrasting white stitching.